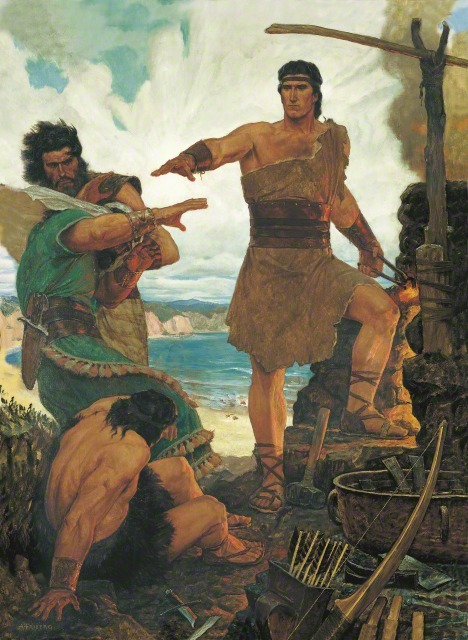 What You'll Need: scriptures, GAK 125: Esther, GAK 303: Nephi Subdues His Rebellious Brothers, GAK 227: Jesus Praying in Gethsemane, backpack or other strong bag, small-medium sized rocks, slips of paper and writing tools, Butterfly poem/coloring page and coloring tools, sugar cookie dough, mini M&M candies. 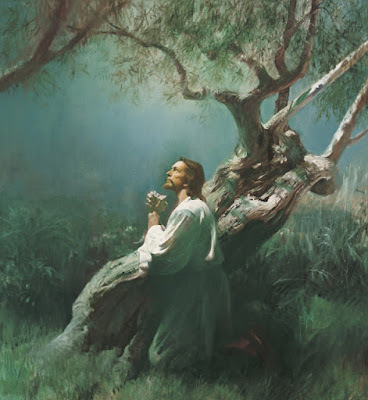 Quote: "Sometime in the eternities to come, we will see that our trials were calculated to cause us to turn to our Heavenly Father for strength and support. Any affliction or suffering we are called upon to bear may be directed to give us experience, refinement, and perfection." Once there were students in a science class. They had a caterpillar and watched it make a cocoon. They knew it would enter the cocoon, stay inside for a while and when it came out it would be a beautiful butterfly. The caterpillar stayed inside the cocoon for months and finally, one day, it began to come out. The students watched the butterfly struggle. It was having a hard time getting out of its cocoon. The science students felt bad and decided to help the poor little butterfly. Very carefully they took small scissors and cut the opening in the cocoon wider so it would be easy for the new butterfly to get out. They watched and waited. When the butterfly came out it tried to open its wings...it couldn't. When it tried to fly away it wasn't strong enough. The science teacher explained to the students that butterflies struggling to get out of the cocoon helps build its wings and make them strong. it needs to fight and work and struggle in order to be strong enough to one day fly. Heavenly Father sent us to earth to learn and to grow. One of the ways that we grow and learn to depend on Heavenly Father is through trials and difficulties. In our lives sometimes bad things happen to good people. - What are some trials that this person suffered? (She was afraid that her people would be destroyed. She was afraid that she would lose her life if she tried to speak to the King to save them. - How did she overcome her trial? By having her people pray for her so the Lord would help her. - Who helped each of these people overcome their trials? Bad things happen to each of us. Every person on the earth has trials and sorrows. Sometimes we are sad or sick or scared. When bad things happen to us it can feel like a weight is being put on our shoulders. Give the children a piece of paper and a pencil, and ask them to write a trial or challenge that children face today. They might write something like “Sometimes school seems hard,” “I get sick,” or “Sometimes I am sad.” (Younger children can draw pictures of the trials.) As the children share the trial, have them wrap the paper around a small rock and place it in the backpack. Pass the backpack to some of the children. 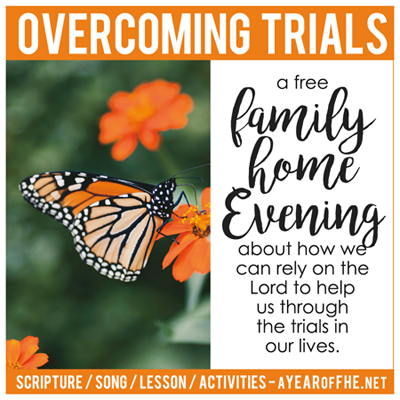 Discuss ways Heavenly Father helps them with their trials. With each suggestion, remove several rocks. Pass the backpack again. Jesus will always help us and comfort us when we face challenges. 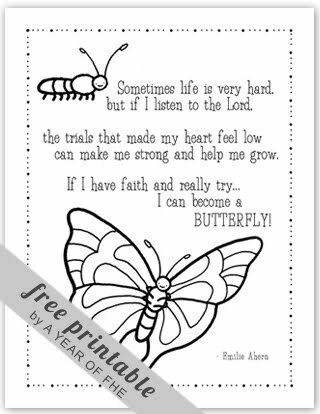 Just like the caterpillar needing to work through something very hard and painful to make it strong enough to fly, we too can work through our trials and become stronger if we depend upon the Lord. Bear your testimony about times when trials have made you stronger and how the Lord lightened your burden. Give specific examples and encourage children to speak with the Lord in prayer about their trials.. Practice Song: If you are teaching your family the OCTOBER Song of the Month, go over the words and music with your family. - Make sugar cookie dough (or use store bought). - Use a cookie cutter to make butterfly shaped cookies. - Have each child decorate a cookie with mini M&Ms to make Butterfly markings. - Bake per recipe instructions. Thank you! Makes FHE so easy! I'm doing this tonight with my kids- we've had a really long hard couple of months with major illnesses, cancer scares, 2 miscarriages, etc... this is what we need and I'm thankful this is available! you are wonderful!